Just finished session 3 and Loving it! 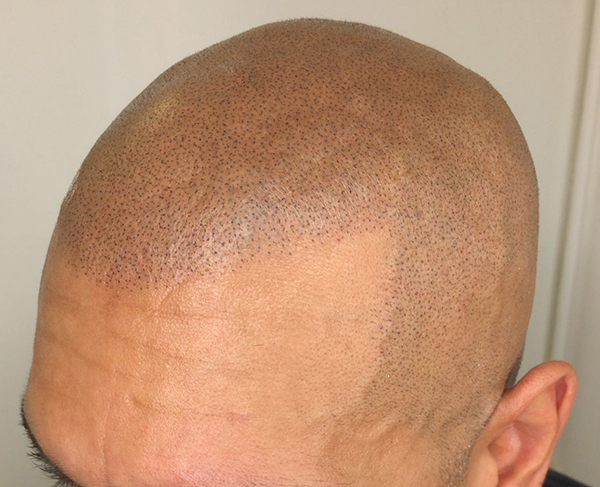 Home › Forums › Scalp Micropigmentation Forum › Just finished session 3 and Loving it! This topic contains 1 reply, has 2 voices, and was last updated by Harvey 3 months ago. I’ve just finished my 3rd session at the New York office and wanted to share my results. Very happy with how it came out, started very light on session 1 with color 28 I think, that looked very light after a week, but I was very nervous and Mike said he will start on the very cautious side to make me feel comfortable. Went a bit darker on session 2 and again on session 3 (color 16). Pain I would say was about 2-3 out of 10 most of the time, maybe a 5 on the sides but still not that bad. Mike is a great guy and knows his stuff, was confident from the minute I met him at the consultation that he would deliver and he did. If anyone is still thinking about it, go for it, you don’t need to be nervous, these guys are will give you what you want, I did quite a bit of research before choosing skalp and the choice was obvious as skalp have the most natural results by far. Here is my head just after the 3rd session, had the whole top of the head done.